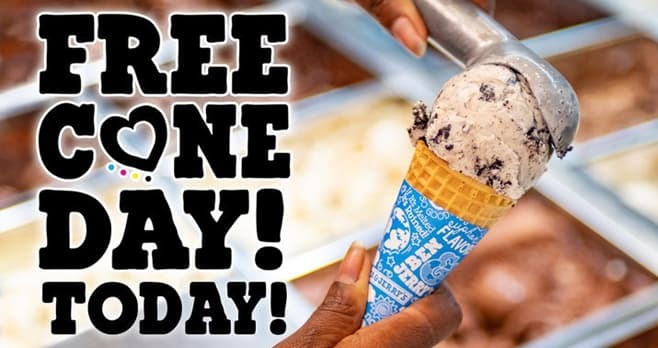 Ben And Jerry Free Cone Day Sweepstakes: Celebrate the Ben And Jerry Free Cone Day 2019 and you could win a year of free Ben and Jerry ice cream. Enter while you wait in line at your nearest Ben & Jerry location today! The Ben And Jerry Free Cone Day Sweepstakes is open to all legal residents of the fifty (50) United States and the District of Columbia, who are at least eighteen (18) years of age or older at the time of entry.. The Sweepstakes begins at 9:00:00 AM ET on 4/9/19 and ends at 8:00:00 PM ET on 4/11/19. Limit one entry per person/email address per quiz. The grand prize consists of a year of free ice cream. Visit www.benjerry.com to enter and see Official Rules for details.